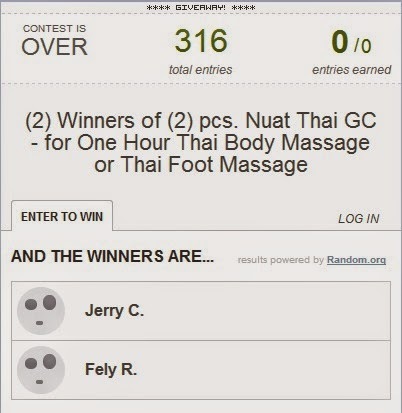 And here are our winners for Nuat Thai Relaxation package for 2! Thank you so much for joining our Nuat Thai Giveaway! I appreciate you, my readers for taking time to join in our little giveaway. My sincerest apologies for not being able to update regularly, as so many things are happening to me at this point of my life...well good things that is. I'm just so happy and blessed to be given the opportunity to be able to host this giveaway, to our good friends from Nuat Thai, who loves our readers and to our readers who don't get tired of visiting us everyday, here is to more great food posts, more food adventures and more giveaways for you all. So back to our regular programming, and now our winners! You guys have just won for yourself a Nuat Thai Relaxation package for 2! 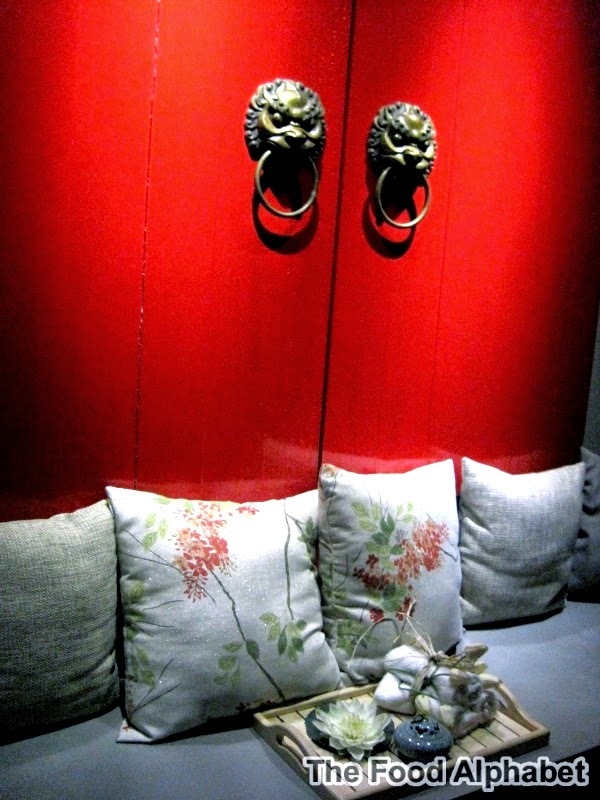 Get to enjoy a relaxing Thai Body or Thai Foot Massage for you and your loved one! Please expect an email from me on how you will be able to receive your GCs. Thank you again everyone for joining, expect another giveaway really soon! A Pre-Christmas Giveaway for all of you to join! Italianni’s New Twists to Old Hits!